We’re a one-stop platform for innovative plant-based and natural food products. 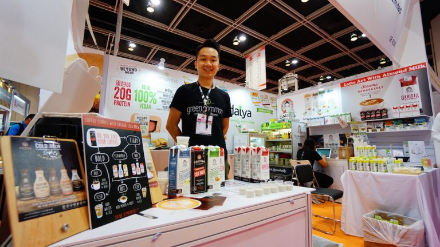 In addition to our retail stores across Hong Kong, we are also a wholesaler and distributor of vegetarian, vegan, organic and natural foods. Our expertise of specialist vegetarian and vegan products enables us to offer expert advice on nutrition and food service green menu planning. There are more products in our portfolio, please contact us for more information. Products which fall under the Food 2.0 category are not only plant-based, and therefore a natural source of nutrients, but are now just as protein-packed as real chicken or beef except with less cholesterol, less saturated fat and made from non-GMO, organic ingredients. 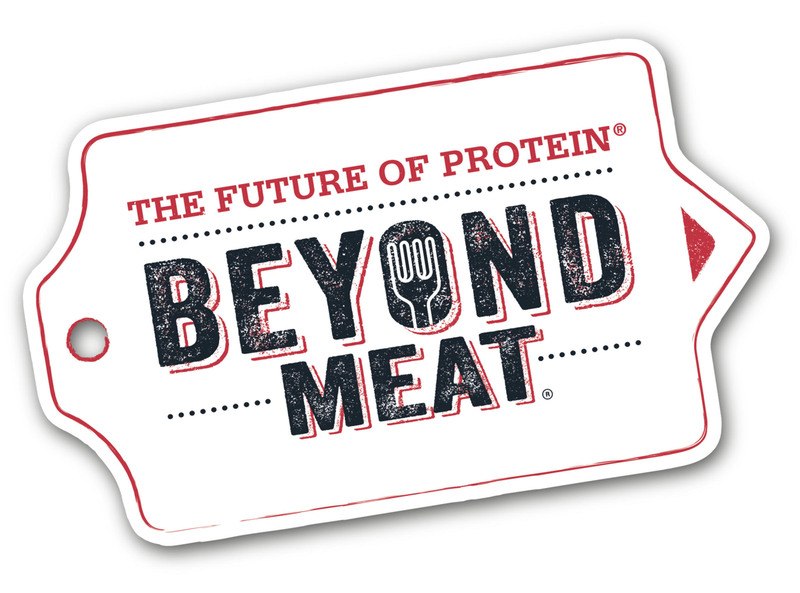 Beyond Meat is a food innovative company founded by Bill Gates. They produce zero gram of cholesterol, hormone-free, antibiotic-free and non-GMO plant-based protein foods, that are tasty, healthy and environmental friendly. The vegetarian meat substitutes are made from mixtures of pea protein isolates, yeast and other ingredients. Their signature product – The Beyond Burger, is the world’s first plant-based burger that looks, cooks and tastes like a fresh beef burger. It has all the juicy, meat deliciousness of a traditional burger, but comes with the upsides of a plant-based meal. The Beyond Burger packs 20g of plant-based protein and has higher nutritional value than the traditional burger. Gardein is a famous brand of plant-based meat in Canada. It provides an award-winning range of tasty, nutritious, convenient everyday foods made from a blend of soy, wheat, pea proteins, organic ancient grains and veggies. It offers all the health benefits of eating less animal-based protein without sacrificing the meaty texture and taste that many people crave. Gardein’s products are non-GMO and rich in protein. No cholesterol and no trans fat also make them healthier! Maika Foods from Los Angeles presents the very first product (first selling in Wholefoods), printing the first innovative concept “Artisan Crafted Completely Veggie based Burgers" that come in 3 flavors: (Unbeetable Red) Ruby Red Beets*, (24 Carrot Orange) Carrot* The company focuses on the natural qualities that make each vegetable its own perfect combination of delicious flavor, gorgeous color, and nutritious punch, to highlight what makes vegetables so special. Foodtech innovation led by North America food scientists. 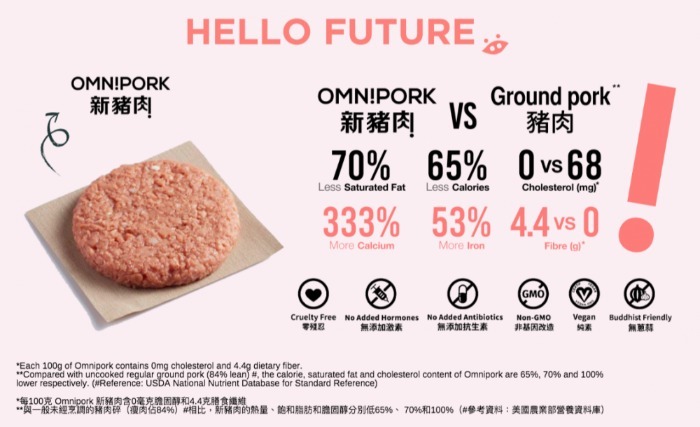 Formulated by a proprietary blend of plant- based proteins including peas, non-GMO soy, shiitake mushrooms and rice, it is completely plant-based, has less cholesterol, calories and fats than real pork. From vegan cheese to plant-based milk, non-dairy products are increasingly becoming more popular. Califia Farms is one of the fastest growing natural beverage companies in the United States. Consumer interest in plant-based diets has expanded well beyond vegan shoppers in recent years, and Califia Farms is playing a key role in the 40% annual growth of almond milk sales with its range of almond milks as its key hero products. Califia Farms is also leading the charge in another rapidly growing sector, cold brew coffee and RTD coffee drinks. The brand leader of the non-dairy sector in the US/Canada, with nearly 22,000+ point of sales and food service operators. Daiya vegan cheese is seen to be a true breakthrough in the dairy-free market as its cheese shreds stretches, melts and tastes delicious, winning ‘Product of the Year’ in the 2009 Veggie Awards. Boasting great taste and healthy ingredients with 33% less fat than traditional dairy cheese, Daiya is free from cruelty, cholesterol, hormones and antibiotics found in cow’s milk. JUST (formerly Hampton Creek) is a company that applies cutting-edge science and technology to create healthier, more sustainable foods announced its formal expansion into Asia with the launch of Just Scramble, Just Mayo and Just Ranch. Just Scramble tastes like egg, is free of antibiotics and cholesterol, and its ingredients require less water and emit fewer carbon emissions than conventional eggs. The product, which has already won acclaim from notable chefs and food enthusiasts, is made from a 4,400-year-old legume called a mung bean that scrambles like an egg. Since they first created it in the early 1970s, Vegenaise has grown to become the most-loved, egg-free sandwich spread. Follow Your Heart began in 1970, is well known for Vegenaise, its best-selling vegan mayo product in the US. It also produces Vegan salad dressings and vegan cheese like parmesan cheese all over the US. Vegenaise is the leading natural mayonnaise alternative that is made with heart-healthy oils and is cholesterol free, and was loved by US celebrities like Ellen DeGeneres as one of her "Favourite Things." 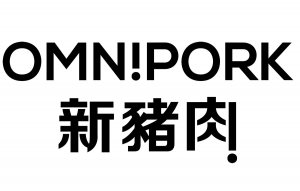 Common Good is a private brand under Green Common in Hong Kong. 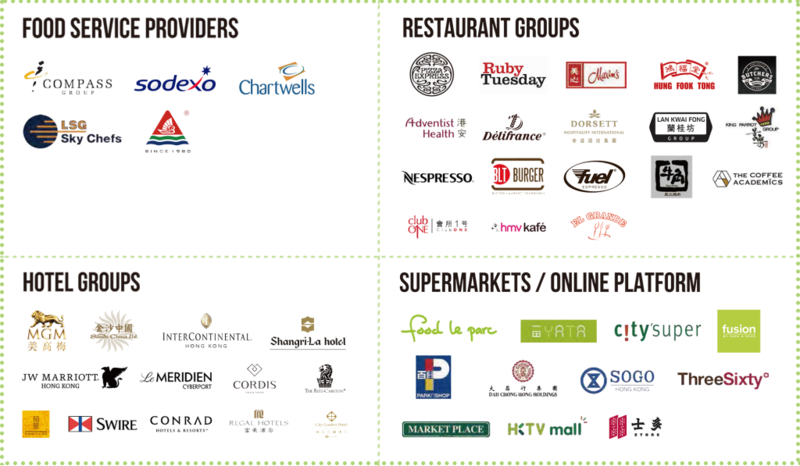 We source premium food ingredients around the world, e.g. super seed series from countries such as Peru, Chile, Iran and Canada. We tailor-make foods best fit with local lifestyles, for instance our instant food series, Quinoa Turmeric Instant Congee and Red Quinoa with Nuts Soymilk Powder, are made for us to stay healthy while coping with busy schedules. Another hero item of ours is Common Good Juice. It is made with cold pressed technology and successfully brings a delicious, trendy and healthy lifestyle to everyone. Beet It was brought to market by James White Drinks in 2008, it is the No.1 natural nitrate supplement in the world and No.1 best selling beetroot juice in UK. 2012 London Olympics labelled ‘the beetroot games’ thanks to Beet It. Originated in the UK, Simplee Aloe is a range of delicious and functional all-natural aloe vera ‘super juice’ drinks that deliver the health, beauty and nutritional benefits of this wonder plant. Simplee Aloe is doing very well in the UK market as the market trends are singing the praises of nutrient-packed, cholesterol-lowering aloe vera-based drinks. The latest must-sip claims to aid weight loss, digestion, immune function, and even ease general discomfort. Unlike other aloe vera drinks, Simplee Aloe is made from the finest ingredients. Its juices are never from concentrate and every carton contains plentiful aloe vera, produced from the inner gel of the plant and not the whole leaf. The latest product on shelf is Aloe vera with coconut water. A ‘doubly’ nutritious drink that delivers the the digestive health benefits of aloe along with hydration of coconut water. It is also the first aloe vera with coconut water to launch in the UK and contains 25% aloe vera with 50% coconut water. HFactor is a truly functional beverage company that provides hydrogen infused water full of antioxidants. 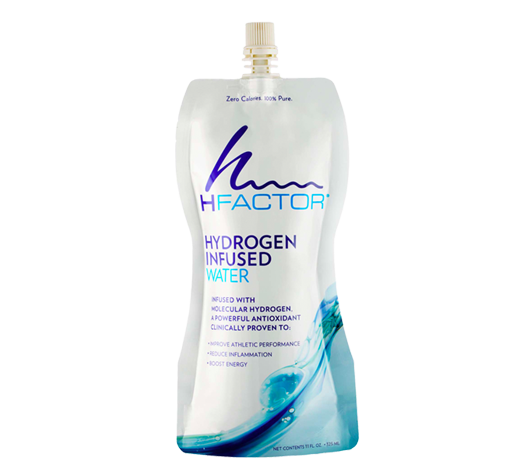 HFactor infuses pure hydrogen into water via patent-pending natural methods, unlike other hydrogen products which are manufactured utilizing magnesium and chemical processes. In hydrogen rich water, molecular hydrogen gas (H2) is dissolved into water creating free, active hydrogen atoms that are accessible to our bodies. It has been documented through hundreds of studies that molecular hydrogen may have the potential to improve athletic performance and recovery, energy levels, allergies, circulation, among many other researched benefits. Cruncha ma-me is an edamame snack brand in the United States where its products are 100% natural, scrumptious and nutritious. Edamame snacks in Cruncha ma-me are non-GMO and gluten-free. They are made with freeze-dried, natural and high-quality edamame. Edamame snacks are also high in plant-based protein and fibre and they contain carbohydrates, mono-unsaturated fats and powerful anti-oxidants. Cruncha ma-me is ideal for people looking for a convenient source of whole, plant-based nutrition and they are suitable for diabetics and those who are allergic to gluten, dairy and nuts. Quite a few members from the Luke's family have been diagnosed with Celiac disease or gluten sensitivities. Rather than snacking on tasteless cardboard, they came up with the brand Luke's Organic. What’s satisfying about that? Their snacks are organic, allergen-free and decidedly delicious for kids, grown ups and those weird ones in between. The world of Mallows you will find that each gorgeously melt-in-the-mouth marshmallow is gelatine free, making it perfectly suitable for both vegetarians and vegans. And that's not all! It is also gluten-free, dairy-free, fat-free, soy free, GMO free and nut-free, as well as not having any of those nasty additives and ickiness that many other sweet snacks have. Unlike most gummy candies, Jealous Sweets are gelatine free, 100% vegetarian, gluten free, without any artificial colourings and flavours, and full of natural fruit juices. A cruelty free, healthy and juicy choice for vegetarians and children alike. PRIZE rice crackers are made with wholegrain rice and seasoned with delicious ingredients that are MSG and preservative free. They use a Popping Process just like Popcorn to give PRIZE a light crispy texture, yet doesn’t add all that fat like frying or baking. PRIZE is committed to only deliver the best possible snacks that gives happiness and no harm.